The Light Heavyweight division offers the size and the stopping power of the Heavyweights with the more technical aspects offered by the fighters of the lighter weight divisions. It also plays host to arguably one the most talented and controversial fighters of all-time- Jon Jones. In 2011, Jones benefited from the injury of his teammate and was granted a title shot. He went onto finish the champion and so started his torrid run through the division. After seeming almost unstoppable, his affairs outside of the cage brought his title run to an end. Last December he returned to capture the belt and put to rest an opponent in Alexander Gustafsson that had previously pushed Jones to the brink in their first meeting. 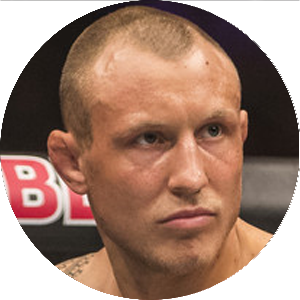 Despite a return to the “old guard”, Jones’ victory coupled with the appointment his UFC 235 opponent in Anthony Smith signified a change in the division’s direction. The likes of Daniel Cormier, Anthony Johnson, and Gustafsson, along with Jon had dominated the majority of Light Heavyweight title fights over recent years. Smith’s shot at the crown opens the floodgates for a new host of title contenders to emerge and challenge the current champion. Should Smith shock the world or Jones retain the title, moving forward the division appears to have a bright future. Let’s take a look at some of the fighters that could be highlighting the Light Heavyweight spectrum over the next few years and possibly challenging “Bones” for his Championship title. 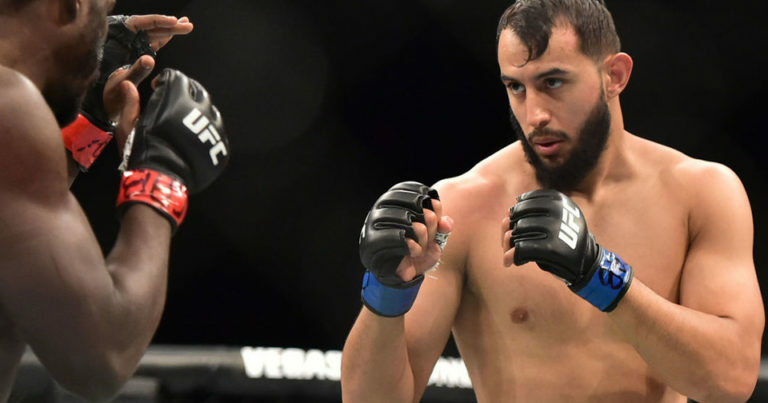 Breakdown: Debuting in 2017 with a 29-second knockout, Reyes continued the impressive run inside the Octagon that got him the call from the regional scene. “The Devastator” went on to finish the next two men he faced, including a submission win to demonstrate is improving ground skills. The only fighter on this list to currently hold a spot in the rankings, Reyes earned the biggest win of his career at UFC 229 over former Interim-title challenger Ovince Saint Preux. Reyes narrowly missed scoring the finish in the final moments of the fight. Scoring a late knockdown, the referee elected to allow the final seconds of the fight to elapse instead of calling for the bell. It was just the second time that Reyes went the distance in his career. While Dominick slowed in the later stages, the OSP victory was a crucial experience that the California-native needed. As the competition continues to improve, the first frame finishes will quickly diminish and Reyes will be forced to put together more complete performances over longer durations. Reyes has legit finishing power and a good frame for the division. He has yet to face a dedicated wrestler which is always a significant milestone in the development of a young fighter. There are a couple of guys willing to grind out wins on the floor lurking in the upper regions of the division and Reyes will most likely cross paths with at least one of them eventually. The potential for a title shot is legitimate for Dominick, but for now, he has another difficult matchup in his future. Former title-challenger and fellow power puncher Volkan Ozedemir is a testament to how close Reyes could be to challenging for the Gold. Volkan came out of nowhere to earn his own shot at the strap with a series of devasting wins. A win for Reyes could move him into the top 5 and within reach of the main event spot. Breakdown: The Austrian narrowly avoided a significant setback and turned his UFC 231 bout into another highlight reel victory. Against Clark, Rakic found himself buried on the FightPass prelims as the opening fight of the night. A curious move considering the need for developing new talent in the UFC’s Light Heavyweight Division. Rakic has the look and record of a future contender and showcased his aggression against another man on this list in Justin Ledet. Aleksandar welcomed Ledet to the division with a thorough thrashing of the former pro-boxer. The combination of pace, power, and overall aggression makes Rakic an absolute handful for an opponent. That being said, the early difficulties with Clark, an undersized 205er, suggests that Rakic may need more seasoning before he is ready for a shot at the best the division has to offer. He has a little more experience beyond the first frame than Reyes does, but he hasn’t faced a great deal of long-term adversity. Without a scheduled fight on the horizon, the American Top Team member can survey the field and look for an ideal next fight. A spot on the main card of a Fight Night event against an established, but unranked veteran like Ed Herman or Sam Alvey could prove a wise next move for Rakic. He has the potential to make the jump into the ranks by the end of 2019, but he needs to avoid taking on too much too soon. Additionally, generating fan support is another key aspect of his future. Rakic doesn’t have a lot of name value amongst casual fans, so he will need to continue to put on command performances as he ventures into the public eye. Breakdown: There are a few fights that come to mind when looking for a dominant performance that ultimately resulted in a defeat. Ankalaev’s early 2018 debut defeat to the floundering Paul Craig is near the top of the list. After spending nearly 15-minutes controlling the action and holding a sizeable 59-18 edge in significant strikes, the Russian found himself unable to withstand Craig’s last-second submission attempt. Magomed was forced to tap to the triangle choke with just a single second on the clock in a fight he clearly would have won on the scorecards. While the defeat certainly dimmed the initial shine put on the debuting Dagastani destroyer, there is a certain amount of pressure that comes with an undefeated record. With that part of his career behind him, Magomed is free to focus on improving his overall skill set. He did just that only 6-months later, scoring an opening round head-kick knockout of Marcin Prachnio in Moscow. Ankalaev is a well-rounded fighter, capable of competing both on the mat and on the feet. His gas tank appears to be decent which is an important fall back when the finish doesn’t materialize. On deck, the Russian gets a debuting fighter in Abreu, after his initial opponent withdrew. The debuting Brazilian has authored a submission heavy record which will give Ankalaev’s an opportunity to either showcase his improved grappling defence or his ability to keep the fight standing to avoid his adversary’s biggest strength. A number beside his name by the end of 2019 is not out of the question for Ankalaev, but it is far from a foregone conclusion. For now, he would be best suited to pick up a few more victories against the mid to lower tier of the division and possibly even consider looking for a redo with Craig. 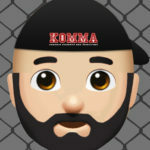 Breakdown: A graduate of the Tuesday Night Contender Series, Rodriguez was unable to get his UFC career off to a successful start. “Slow” saw his 4-fight winning streak quickly evaporate over the course of a 15-minute decision defeat to Devin Clark. The loss certainly raised questions about the future of the Boston, Mass native. Similar to Ankalaev, Mike was able to quickly rebound and scored an impressive stoppage win later that year. Finishing former Heavyweight Adam Milstead with a brutal knee to the body and subsequent punches signified that Rodriguez had more to offer than the Clark loss suggested. Rodriguez is powerful with deceptively accurate strikes. He has finished his foe in all 10 of his wins, 8 by knockout and all in the opening frame. Both of his submission victories came in the second round, in the early stages of his career. There are concerns with what Rodriguez has to offer. While he is one of the oldest fighters on this list, he is far from being old for the Light Heavyweight division. His wrestling defence is an area of concern that he will need to address. If he can’t stay vertical or create separation along the cage, his power becomes a non-factor. He is just 2-2 outside of the opening round and while he showed more urgency in his sophomore appearance, he needs to be able to pick up wins beyond the opening round. Rodriguez has the tools to work with and could certainly carve out a nice career inside the Octagon. He also could be faced with becoming a stepping stone for one of the other younger and more talented fighters on this list. 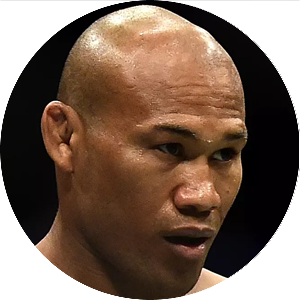 Similar to Lyoto Machida’s 2009 victory over fellow-undefeated contender Thiago Silva, Rodriguez will most likely face a career defining fight in the next 24-months. Breakdown: As of writing this article, Walker’s UFC Fight Night 144 showdown with Justin Ledet is only a few hours away. Walker earned the call to the Octagon with a solid victory on the Brazil version of the Contenders Series. He upended 6-fight UFC veteran Henrique da Silva by decision, building his case for victory over a pair of strong opening rounds. Walker has won 7 consecutive fights, including an impressive opening round stoppage of Rountree in his debut. The Brazilian is young, dangerous, massive, and seems to have a likeable personality. The combination of those traits gives him a bright future. That being said, he still has a lot of growth and development to do. His cardio is a major concern. Even the most talented of fighters can be undone by a poor gas tank. Once the word is out, opponents will build a gameplan around exploiting that weakness. In addition to his cardio issues, he lacks the more technical aspects of a refined striker. His willingness to throw big flashy techniques with no setup will limit their effectiveness and open himself up defensively. Jumping knees and axe kicks can also prove draining if attempted too often with limited impact. Johnny’s distance striking also needs a tune-up. He tends to do his best work when he closes the distance, but that approach also negates his physical attributes that can be difficult for many to deal with. Walker’s fight with Ledet is a big event in his young career. If Walker is able to finish Ledet early it will further add to his resume, but a victory drawn out over 10 to 15 minutes would prove more beneficial to the young man’s development. A loss is far from career-defining and could help Walker to continue to grow over the long the run. I have Ledet besting Walker, dragging the fight deep while remaining technical with his lead left jab and hook. We will see how if that analysis holds up. Breakdown: The jury is still out on whether or not Ledet’s move from the Heavyweight division was a mistake or not. He was 3-0 against in the 265-pound division, but his frame appears better suited for 205. Although, moving to Light Heavyweight may have cost the former Pro-Boxer some of his key advantages that made him successful at Heavyweight. In his divisional debut against Rakic, Ledet was no longer the faster man capable of outworking his foe. Building around his jab, footwork, and superior cardio- Justin was able to get the better of the likes of Chase Sherman and Zu Anyanwu. Rakic was having none of it. In his follow-fight with Johnny Walker (set to go down in a few hours), Ledet needs a better performance. If Ledet is unable to secure a victory, moving back to Heavyweight is almost a must if he intends to stick with the company. Cutting to 205 could have inhibited Ledet’s performance and we have seen multiple fighters look much better in their second outing in a new weight class. He should have a better understanding of how he feels and what he is capable of at his new weight. If it isn’t there tonight, it most likely will never be. Ledet is 30 years old, but he doesn’t have the road mileage of a lot of MMA fighters in his age bracket. He also has a strong striking background and capable submission game to work with. Urgency could be the key to his success. Utilizing a jab against the more technically sound and quicker fighters in this division will only carry you so far. Ledet comes off as an intelligent fighter and if that is the case, he should be able to exploit the gaps in Walker’s arsenal. Interestingly enough, the advantages in speed, cardio, and overall technical skill that Justin enjoyed at Heavyweight should once against be in his favour tonight. His ceiling in the division will come down to his willingness to develop and develop quickly. He has a solid base to build upon, but if he fails to grow he will be left behind by those fighters that can do what he does and more. His approach tonight should be built around his jab and movement, forcing Walker to chase him while countering as the Brazilian moves forward. If Ledet can get at least one of the first two rounds in his favour, the third frame should be there for the taking.